Since its inception in the early 20th century, jazz music has influenced every facet of American art and culture. It has evolved, like any art form, but its free-spirited tenets of exploration, expression, and experimentation remain. These infectious qualities seep into the listener — just put on one of Spotify’s jazz playlists during your next creative session and you’ll see what I mean. Check out my picks for the best jazz books below, and share your recommendations — for tunes and texts — with me on Twitter. When her previously gentle and unassuming husband murders his much-younger lover, a middle-aged housewife is left to make sense of her life. 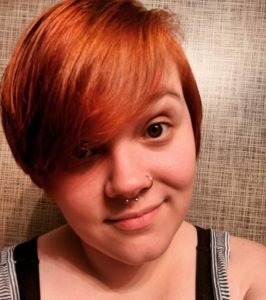 After she attacks the girl’s corpse during the funeral, the woman forges an unlikely new friendship with the young woman’s grieving aunt. Jazz unfolds like a slow, somber dance. Here are intricate family histories, migrants, orphans, motherless children, and childless mothers. Lying in wait are the age-old questions of whether music acts as a corrupting influence on the nation’s youth, and whether it is possible to stave off the seemingly inevitable effects of a history of violence. This contemporary novel follows a loosely connected cast of four protagonists — including a curse-happy 9-year-old and a half-stray mutt — through a fateful December 23rd. The story revolves around the titular Philadelphia jazz club, The Cat’s Pajamas, where the aforementioned potty-mouth hopes to step into her late mother’s shoes and give a jazz performance for the ages. 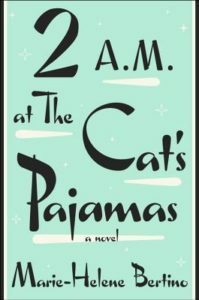 It’s easy to forget that 2 A.M. at The Cat’s Pajamas is set in 2010s Philly. The themes — religion, classism, loss, and recovery — are timeless. Most of Marie-Helene Bertino’s characters cling to their memories and outmoded traditions, fighting against the marching flow of time. 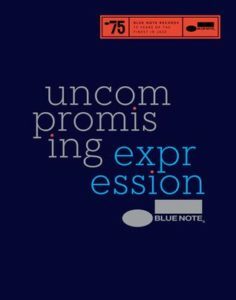 Published in 2014 for the titular jazz label’s anniversary, Richard Haver’s microhistory traces Blue Note’s 75-year legacy through signed artists, album artwork, landmark albums, and other ephemera. Founded by a pair of German immigrants, Blue Note became an institution, sporting a lineup that reads like a who’s-who of great jazz: Thelonious Monk, John Coltrane, Miles Davis, Sam Rivers. It’s the American Dream, really, wrapped up in the sheets with a wholly American musical form. If you’re a jazz lover looking for a new conversation-starting piece of home decor, snag a copy of Haver’s Blue Note for your coffee table. 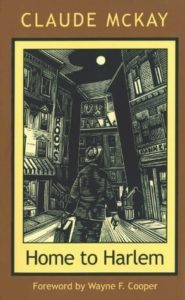 If you’ve read everything Zora Neale Hurstone has to offer, take Claude McKay’s Home to Harlem for a spin the next time you need a Harlem Renaissance fix. Tired of fighting a war that makes no sense to him, protagonist Jake makes his way back to the U.S. from London. 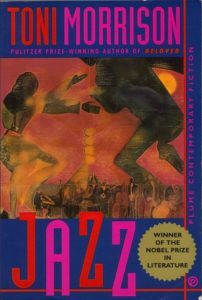 Riding along with him, readers are treated to the drug culture and obscured expressions of black male sexuality in the 1920s. Hated by black leaders of the time for what they perceived as a negative representation of black men as aimless, frivolous loafers, Home to Harlem reads like an anthem for today’s post-college crowd. Here is a hero caught between dreams and comfort, forced to forge his own path in a world set against him. If you thought The Great Gatsby was the ultimate jazz age novel, put McKay’s book on your TBR today. What books would you add to this list? Let me know by leaving a comment!